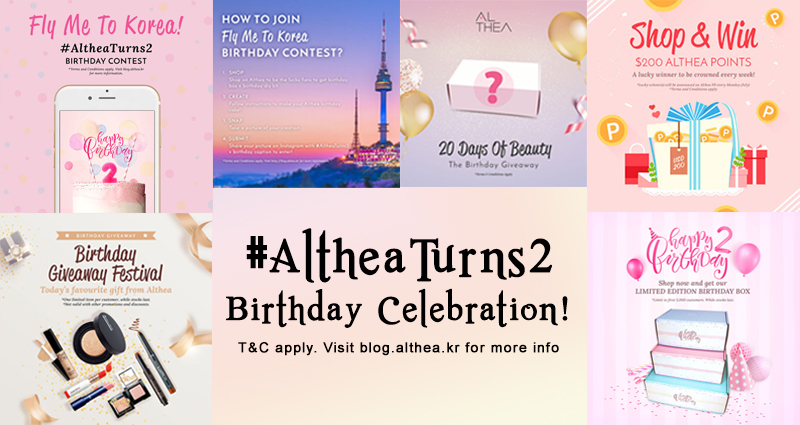 I am FurFer: Althea Korea Turns 2 Birthday Celebration! Time passes so fast and it's already the second anniversary for Althea! It was fun to celebrate the birthday event last year and it's fun to decorate the beauty boxes too. I'm truly appreciate the effort for Althea to customize the design on the boxes with different themes. I keep going back to Althea for my beauty products because the prices are so reasonable! 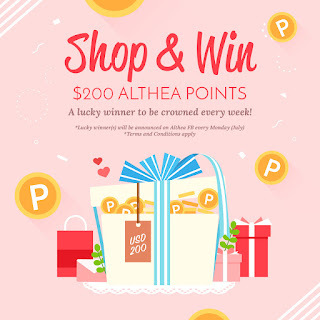 There are always promotions available and you can get almost all the Korean brands on Althea! I wish there is a site like Althea to satisfy my crave on Japanese beauty products. It's simple! 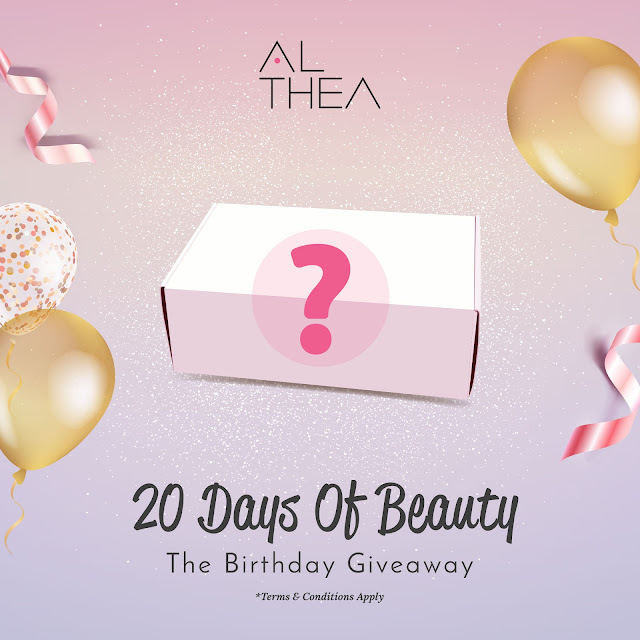 Show off your Althea Birthday Box creation that you received when you purchased any products in Althea during July on your Instagram and you will stand a chance to win the following prizes! Do remember to use the hashtag #AltheaTurns2 to qualify your entry. 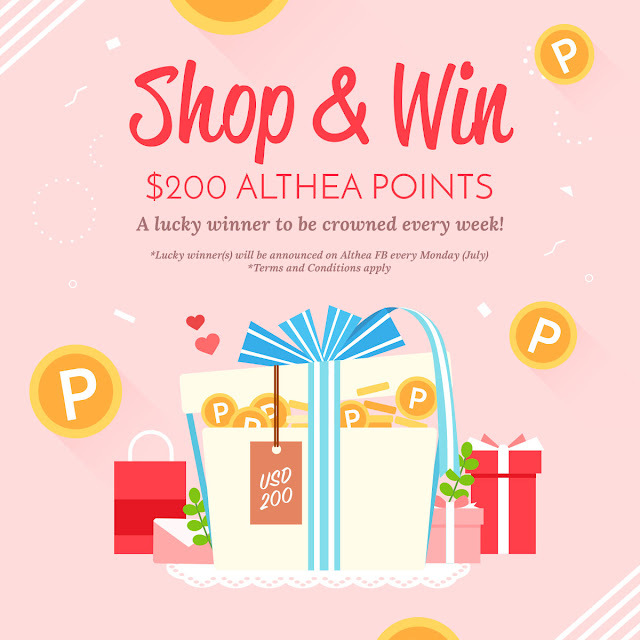 This week is the last week for you to join the giveaway on Althea Instagram. Follow the page here: https://www.instagram.com/altheakorea/ to get the latest news about the giveaways. You read it right, this week is the last week for you to join the FB giveaway on Althea fan page. Remember to read all the details on how you can be the lucky winner for this week's giveaway! 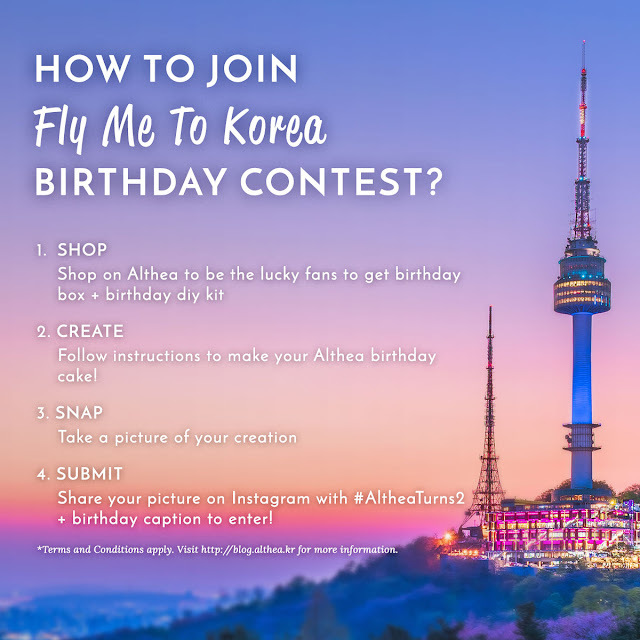 P/S: My entry for the Fly Me to Korea contest, what is your Althea Birthday Box Creation?